Join us to taste wines from the Lafite stable at the family’s former country home in England. Lafite-Rothschild is one of the world’s most famous names in wine. And while their Grand Vin made on their eponymous estate in Pauillac in Bordeaux is the leading light of the property, the family produces more than just one wine, in France and elsewhere. To celebrate the breadth and depth of their cellar, we’ve organised an outing to experience this world-famous portfolio. On Saturday, the 13th of May, we’ll host a small group of clients at Waddesdon Manor, a National Trust property formerly owned and now managed by a trust of the Rothschild family. 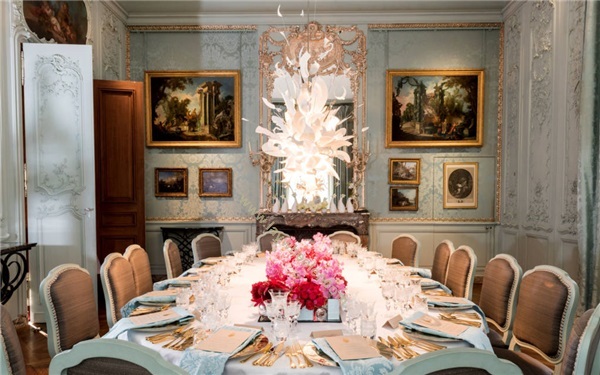 Guests will arrive at 10 am and enjoy a private tour of the house, before a Champagne reception and then lunch. Afterwards, guests will head to the wine cellars, renovated in 1994, to enjoy two vintages of the Grand Vin itself. The nearest train station is Aylesbury Vale Parkway station, which is about an hour outside of London, and there are free shuttles between the station and Waddesdon Manor. Please note that transportation is not included in the ticket price. There are just 14 spaces available. As it’s likely to book up quickly, we recommend securing one as soon as possible. It may, on rare occasions, be necessary to substitute any of the wines advertised for wine of a similar or better quality.